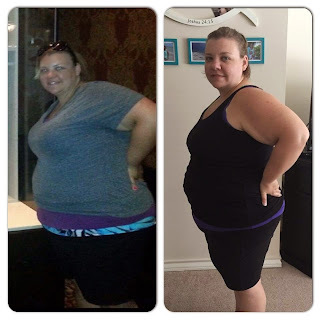 When and why did you decide to start your weight loss journey? Originally started in 2013 but got really serious in Nov 2014. I started because I was tired of feeling awful and not having energy and just feeling gross. What keeps you motivated along your journey? Seeing progress keeps me motivated! The scale doesn’t move fast for me but my body has completely changed over the last 6 months. I take a lot of photos to see my progress. I want to one day become a personal trainer, so I would like to become fit enough to be able to do that. What does your weekly exercise schedule look like? Mondays and Wednesdays I take a 1 hour Zumba class. Tuesdays I am with my trainer for 1 hours. Thursdays I am with my trainer for 1 hour and then take her 1 hour class. Fridays just depends on what class is offered but usually another hour long class or I take Fridays off and go to Kan-goo class on Sundays. I try to walk at least 1-2 times during the week also for 1.5 miles. 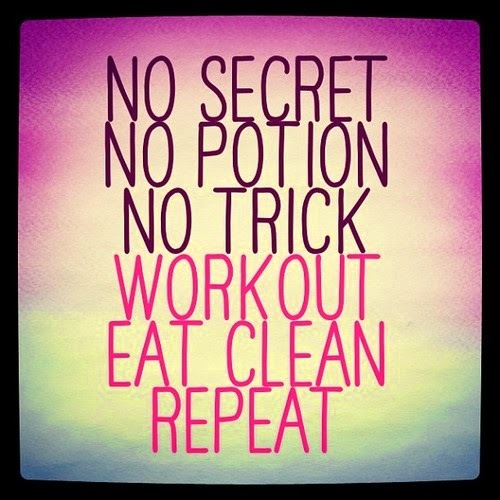 What nutritional goals do you strive for? I don't have any off limit foods ... 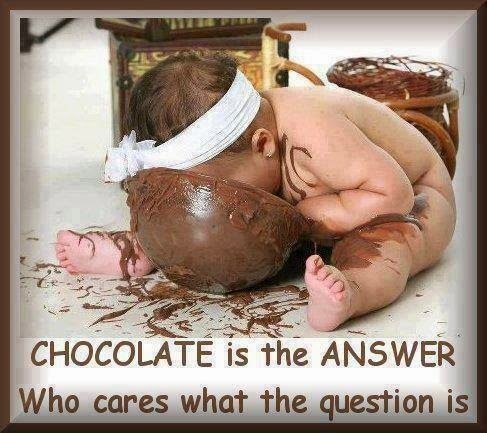 I try to remember moderation at all times. But I also try to keep in mind how many carbs I am eating and to keep that low because I am controlling my blood sugar through diet and exercise. What “tips and / or tricks” do you have for others? I don't believe in restriction diets because I believe that leads to binges. So if you are craving a sweet, have a small one. Surround yourself by others that are striving to become healthy so you have a good support system. 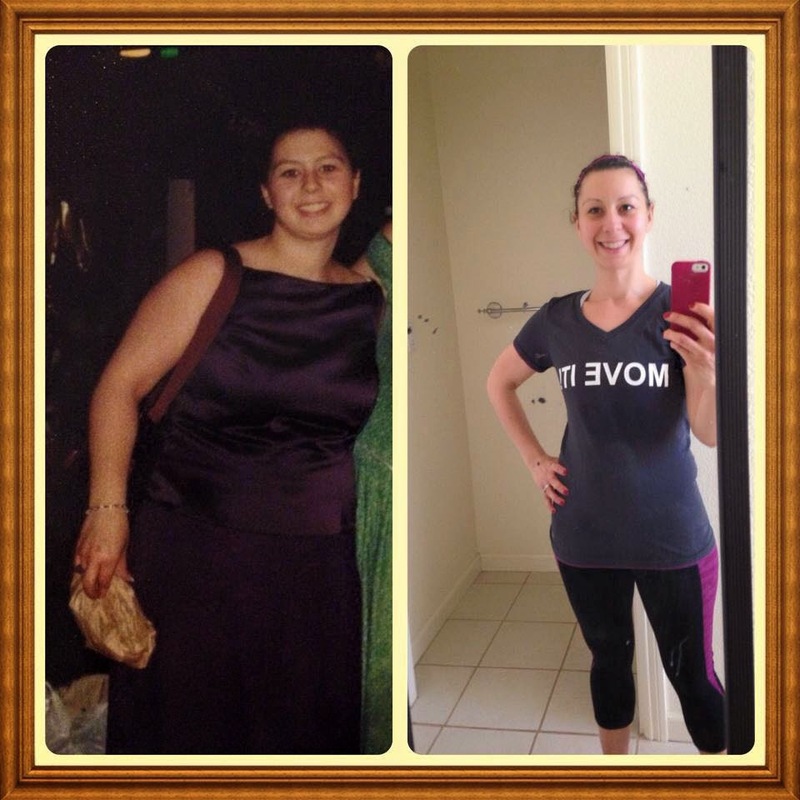 How has your life changed since the start of your weight loss journey? I am definitely more confident! I have discovered a love for fitness that I didn’t know I had and have discovered a strength inside me. What are some of your favorite motivational thoughts and / or quotes that inspire you? Strive for progress NOT perfection!! When I started my weight loss journey, I had no idea I would be where I am today! I had a set amount of weight I wanted to lose, a weight loss goal. It hit me over the weekend, as I was wearing my size small shirt and my size 10 jeans, that I have done a great job. And, even though I have not "hit my target weight" I am satisfied with the mental and physical changes that have taken place! I have gone from a size 22 to being able to fit into a 10, from wearing XL shirts to fitting into a small. Would I like to hit my target weight, sure. Does that number on the scale define me and my progress, absolutely not! I am in such a happy and healthy place, I couldn't be happier with myself! I’ve struggled with my weight my entire life. Then in 2011, I decided it was time to get healthy and lost 60 pounds and was the healthiest I had been my adult life!! And then, I unexpectedly got pregnant. Due to back spasms I was unable to work out my entire pregnancy. 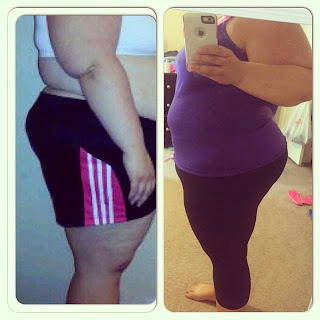 I craved and ate fast food two or three times a day which led me to gain 68 pounds! June 28, 2013, I decided it was time to get start taking time for myself. I really began my journey to becoming a healthy role model for my daughter. I lost weight through counting calories using myfitnesspal and working out. 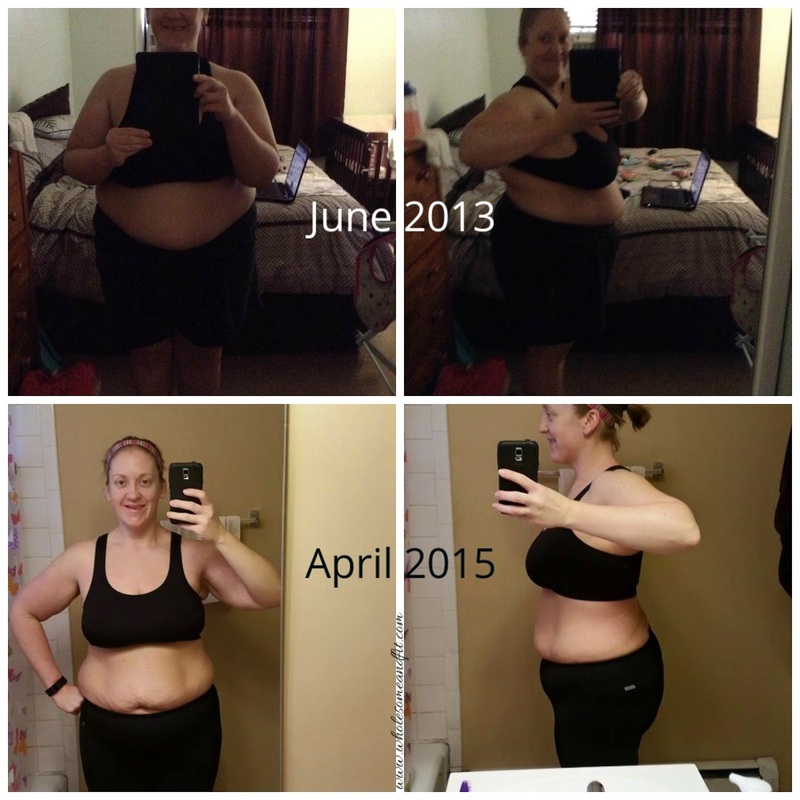 Then in January of 2014, I ordered a challenge pack and became a Beachbody Coach. My daughter, she’s currently 2.5 years old. My goal is to be that healthy, strong, active role model in her life. I’ve been overweight my entire life, so I just strive to be the healthiest and strongest adult I can be. My ultimate goal is to be able to complete a full marathon! Currently I’m training for my first ½ marathon, so I exercise 6 days a week; 3 of them running and the other 3 doing strength training and stretching. Some programs I enjoy and have done in my journey include: 10 Minute Trainer, p90x3, p90 and turbofire. I also enjoy heavy lifting and running. I strive to eat healthy and clean about 80/20. I normally stick to plan M-F and then on the weekends I let myself indulge. I however was really strict and didn’t indulge until I hit my first long term goal, which was to be under 200 pounds. My workout advice to others is to start small. Start with a goal of walking 2 days a week, then once that becomes routine, add on to it. As far as nutrition goes, I think meal prepping on the weekend is a must. If your meals are already prepared and you only have to reheat once you get home, you’re more likely to stay on plan and eat healthy. It’s changed tremendously. I have self-confidence, I’m strong, I’m the healthiest weight I’ve ever been, I’m in the smallest clothing I’ve ever been, I feel comfortable in my own body and just love myself. I know I can still improve but I’m VERY proud at how far I’ve come and can’t wait to see where I can go. 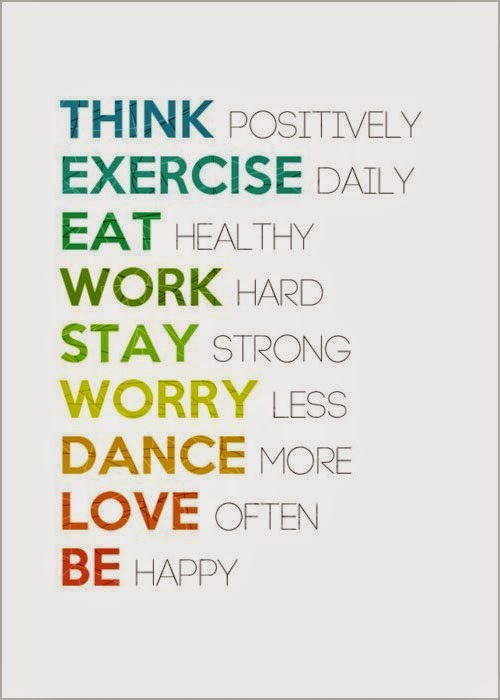 One of my favorites is from Tony Horton: Do your best, forget the rest; Anything is possible with hard work and dedication; One workout at a time. One day at a time. One meal at a time; Fitness is 100% mental. Your body won’t go where your mind won’t push it; A huge part of losing weight is believing you can do it and realizing it won’t happen overnight; If you believe you can, you’re halfway there. – These are some of my favorites. I love to find new quotes on Pinterest. But honestly, once you get out of your head/mind the “I can’ts or I wish I could….you’ll succeed with a little hard work and dedication. You can follow Jen's Journey by liking her facebook page. Meet Ron ... this is the story of his AMAZING Transformation!!! My name is Ron Brower and I am from Syracuse, NY. 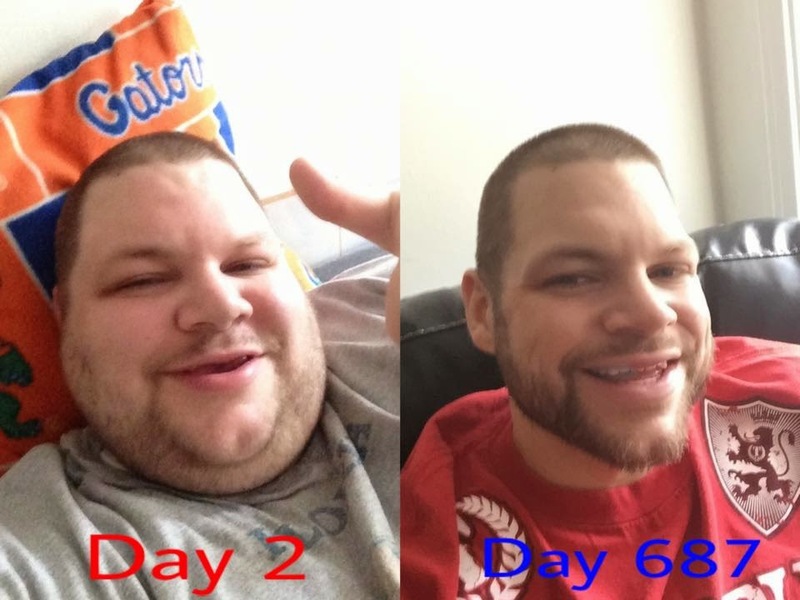 I started my weight loss journey at an astounding 675lbs. It was June 2013, when I was in a desperate place. My walking was limited to about 15-30 seconds, I was completely dependent on my family for everything...putting my shoes on, doing my laundry, cooking my food...just to name a few things. I was unable to walk through the door way without having to turn to the side. I was wearing a size 9XL shirt and shorts, and I masked my pain of desperation and depression with food, alcohol and drugs... and excessive amounts of it. I got to a place where I was limited to the four walls of my room, and a doctor report that said "I will die by the age of 30 if I didn't make a change (which brought my mother to tears)! That was my "rock bottom" as people tend to call it, that triggered me to make an attempt to change my life, and my lifestyle. I really had no clue where to start, so clearly that led me to reach out for help. I made a Facebook post stating I hated my life and I wanted to change. A dear precious friend of mine, Gina D'Adarrio was gracious enough to respond, telling me she will do what she can to find help for me. Gina immediately contacted her cousin Nick Murphy, personal trainer and life coach at Mission Fitness because she knew without a shadow of a doubt that Nick would be the guy who would not only direct and guide me on my journey, but truly and genuinely care about me and my success as a person! Nick told Gina he would love to help me, and he required me to take the first step and contact him. So after wavering back and forth, feeling a little nervous and scared, and once again sitting in the four walls of my room that became all too familiar to me, I sent him a personal message on Facebook and asked "Can you help me lose weight?" Nick quickly responded, and told me that he would love to, and that him and his Mission Fitness (Facebook page) partner Jill Rupert would be over the following day to meet with me and my family. I anticipated the arrival of what I was hoping would be the key to getting my life back!! The one thing I knew I needed was...help! We met, we talked and I knew the two of them meant business. Seeing as how I didn't have the finances to pay for such extensive help, they offered up their services for free, if it meant saving my life. So from that day on both Nick and Jill have spent countless hours, day after day, week after week training me, holding me accountable, and teaching me the way to live healthy. They have touched on every aspect of my being...spirit, soul, and body. I have hit so many goals in this journey, and it's all been done through diet and exercise. They have me on what is called a ketogenic diet, which consists of heart healthy fats, animal source proteins, and green leafy vegetables. The diet is 80% of my results, and really assists in the exercise that I'm doing to lose weight. Now I have a vision for my life. Sitting in my house barley being able to walk, I was left feeling hopeless, with no dreams or aspirations. Now that I have a life that I enjoy living, I now have a vision to help others achieve their weight loss goals, to become a personal trainer and to work with people who have been in a situation similar to mine to help them get their life back, and give them a purpose! Many people ask me what my workout regime has been. Throughout the past 20 months it has changed as time progressed. My very first day I started off with 20 minutes of lifting my arms up and down for 30 seconds intervals, which brought me to complete exhaustion due to my lack of conditioning. That quickly progressed to one hour a day on the arm bike. I did that routine for three months which brought me to my 100 pound weight loss. After that I was able to make it into the gym. From there I started doing two hours on the seated elliptical. A few months after that I added in a total body daily boot camp with my trainers, along with 2 hours on the seated elliptical. Then I switched to speed walking the stairs for 30 minutes in addition to two hours on the seated elliptical along with weight training with my upper body. Lastly I progressed to doing the regular elliptical, starting out at 30 seconds my first attempt (I had to sit down and rest for 1 minute then do another 30 seconds), now I'm doing 3 hours a day! I do an hour on and then an hour rest, in addition to once a week weight training with my upper body and now also doing weight training with my lower body as well! It’s a lot of time I spend in the gym, but it's what’s required for this season of my life. One of the biggest support systems I have in additional to my trainers is my Facebook page "600lbs to Success". My trainers advised me to start a Facebook page, and use it to help me stay accountable and also to help me stay focused on my goal. The objective was to post positive things about myself and motivational quotes about weight loss. The page really took off, and I now have followers from all over the world who follow me and my success and who really encourage me on what I set out to accomplish! I make posts on it daily whether it be pictures, videos, or motivational quotes. People that see my page have then been inspired to make changes in their own lives with their heath and weight. What was originally designed to help me has now really helped and motivated many other people! They see that if Ronnie Brower weighing 675lbs can lose weight, then so can they. My local community has been a big support to me as well. Local articles have been written about my success, news stories, and many donations from the community; anything from clothes, sneakers, and supplements that I need they are there to support me! This season of weight loss for me is coming to a close, and I'm excited to take my journey and pour my success into the lives of others! Excellent job Ron, you are very inspiring!!! I have been struggling with working out since Saturday due to a muscle issue that happened Saturday morning. I had horrible pain radiating through my clavicle, making my arm go numb and shooting throughout my head and my back. This pain calmed and turned into back spasms for the remainder of Saturday. Long story short, I am fine :) just a little sore and had to see the Chiropractor today, which helped! I decided to start another round of the 21 Day Fix today, I took measurements and I am ready to go. I am still resting my body for now but I plan on doing a PiYo / 21 Day Fix hybrid along with a new run streak starting soon! 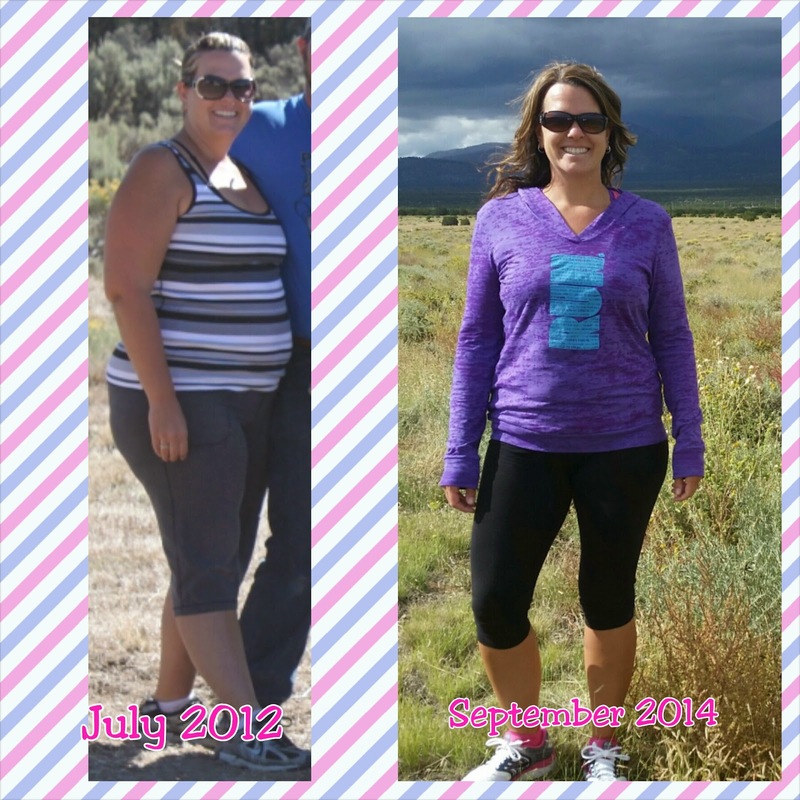 I started my weight loss journey in January of 2014. I started because my self-esteem was low and I was tired of not having energy. It had been a very long time since I was happy with myself and my body. I was going through a lot of struggles during that time of my life so I decided it was a new year and to put myself first and start on my journey. I had struggled several times trying to get a good workout going and eating healthier. I would lose some weight and put it back on. That summer I completed the 60 day Insanity program and had awesome results. It not only made me feel better but it boosted my confidence knowing I could complete such a hard program and lose the weight without yo-yo dieting. The way my clothes fit. I have gone down several sizes in clothes. I feel more confident and happy. When I lose my motivation I just look at my pics when I first started and remind myself of how unhappy I was when I first started. I would like to lose the last 5-10 pounds or just get more tone. I should be proud because this is my weight when I was 19 years old. I decided to start Insanity Max. I love all Shaun T workouts. Insanity Max is 6 days a week and I also integrate running and hiking with that workout. I have a hard time eating completely healthy because I am such a picky eater. I would like to eat more protein and add more vegetables in my diet. I have gone more towards a clean eating diet. I do still allow myself to cheat every now and then so I don't feel deprived. The hardest part is to be able to change your mind frame and tell yourself that you CAN do it. Unfortunately, when you’re unhappy with your weight and how you feel our brains tell us; this is the way it is, you can't do that, and so many more negative comments. I’m here to tell you that you CAN do it. Whether you go to the gym, workout at home, go running, etc. you have to make the step in the right direction. When you wake up sore or tired and you don't want to work out tell yourself don't let the negativity win because in that situation once you work out you will be proud and know that you did it. Tell yourself that you are worth it! Always take one step at a time. Start with small goals to achieve your biggest goal. Treat or reward yourself along the way. I am without a doubt so much happier. I feel confident in my clothes. I have been able to motivate others struggling in their journeys. Yesterday I went through all my clothes and got rid of all of them that were too big and no longer fit. I will never go back to that weight or the unhappy person I was. In my bathroom I placed a cork board on the wall. I have placed motivational quotes, pictures, and old pictures of myself to see every morning knowing how far I have come and the motivation to keep going. There aren't any specific quotes I like. I would tell you to make yourself a motivational board where you can see it every day. 1) When and why did you decide to start your transformation journey? I stared my journey in 2012 with exercise and weight lifting, but it really started in 2009 after seeing my wedding photos weighing in at 300 lbs at the time. I was so devastated at my photo that's when it really started me into fixing my surroundings but it was always a yo-yo dieting thing. I did that for 3 years till I really started buckling down. I joined a gym in 2012 and started walking 30 minutes and 30 minutes nautilus equipment one day arms one day legs 5 days a week. After a year I started free weight lifting. Since then the rest is history. I really started getting into body building and now I'm currently at 193 lbs body fat 33%. I lift about 45 minutes a day and 20 minutes of cardio 6-7 days a week. 2) What keeps you motivated along your journey? 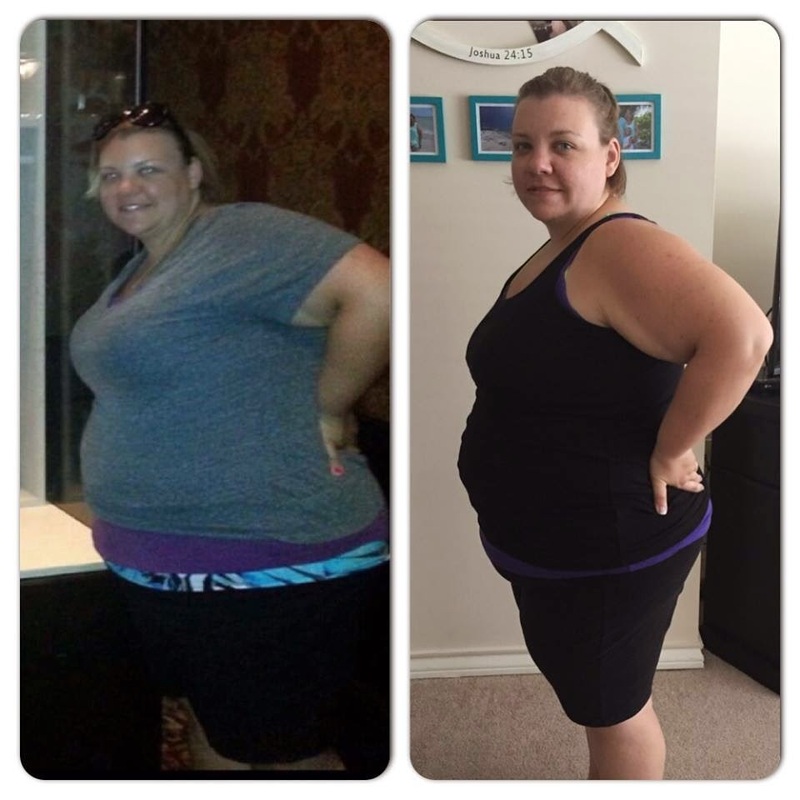 I keep motivated by my fitness page (Amanda’s new fit life) I started in December 2013. I started my page to first keep me accountable now it is my reason for getting up every day and showing my followers what is like to live fit. 3) What are your fitness goals? Goals I would like to achieve: 20% body fat and possibly competing in figure someday. 4) What does your weekly exercise schedule look like? I work out 6-7 days a week and I now have a trainer that dictates my workouts but I lift and do cardio every day. I do have scheduled rest days or active rest days each week. 5) What nutritional goals do you strive for? I stay with a clean eating life. No processed foods no artificial sugars. All natural foods. 6) What “tips and / or tricks” do you have for others? Squat low, stay on track, don't give up it’s all worth it I promise. 7) How has your life changed since the start of your transformation journey? My life has changed with no more pain in my joints and back. I always have energy now and I feel so much younger. 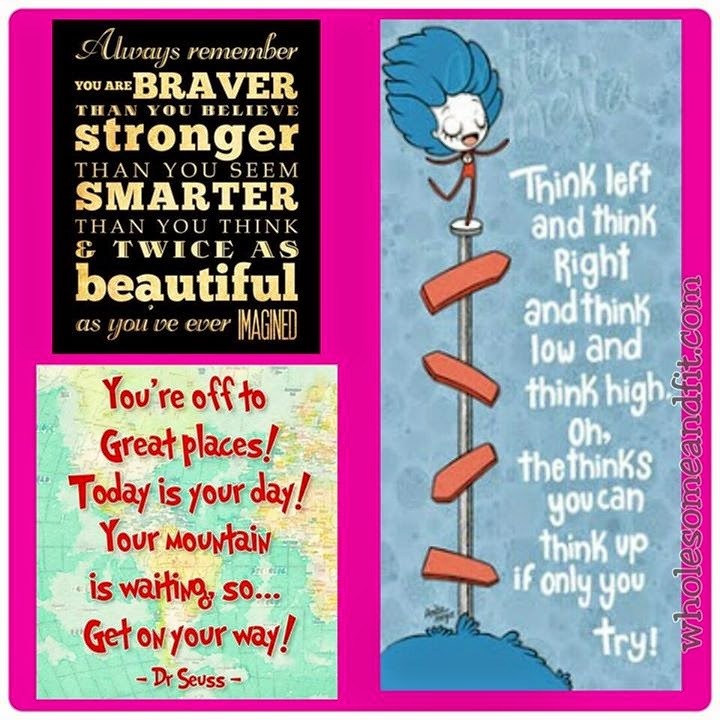 8) What are some of your favorite motivational thoughts and / or quotes that inspire you? My favorite quote of all times is - "commit to be fit" after reaching my goal of 100 lbs loss I tattooed commit to be fit on my foot to remember every day how hard I worked for this and to stay with it. 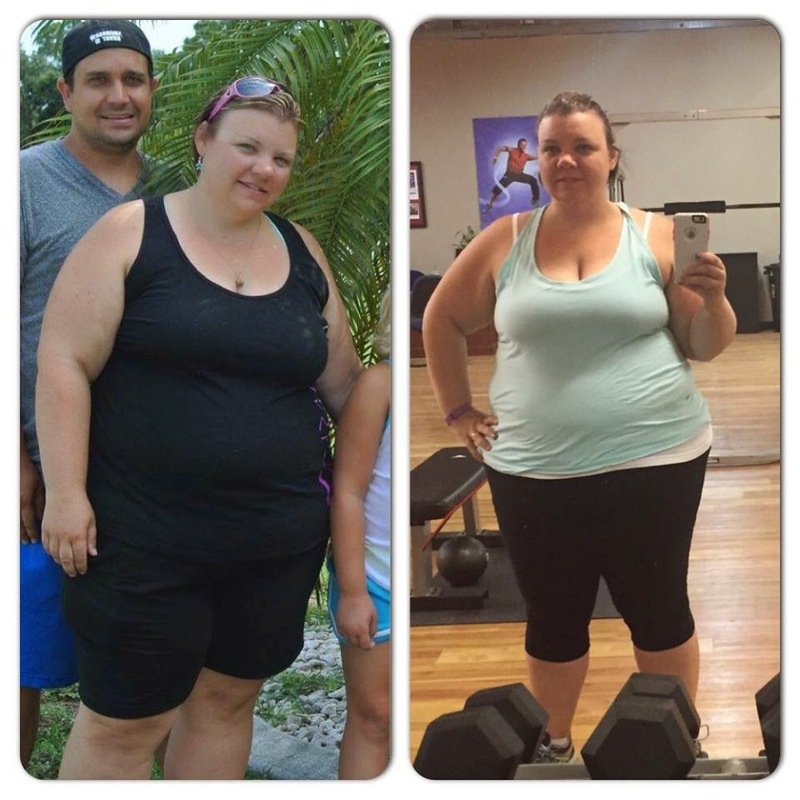 Heather's Story: I started my journey 6 years ago. I was overweight and tired of my pants not fitting. I joined a gym and started working out. I had been working out for about three months. I would do the elliptical and some light weights. One day all the machines were taken and I was stuck with a treadmill. I decided to run. This was the first time I ran a mile since high school. I thought I was going to die! It hurt so bad, and it took me forever to finish. I had such bad shin splints I had to wait for them to go away before I could drive home. Something ignited inside of me, despite the pain I went back the next day and did it all over again. Eventually it got easier. I started losing weight and felt good about myself. I started counting my calories and began to lose even more weight. Six years and a baby later I have kept 20 lbs. off! I ran 3 miles every other day for 5 years! A year ago after I had my baby I wanted to meet new people in our community. I decided to join a running club since I loved running so much. I met so many incredible people and that it added fuel to my passion and I became a long distance runner. In the last year I have ran a marathon, 5 half marathons with a PR of 1:45:26 and a handful of 10 and 5k's. My focus isn't so much on calories anymore as it is on nutrition. I love how good eating healthy makes me feel that I want to share it with others. This is my story and I hope you continue my journey with me and share yours as well. 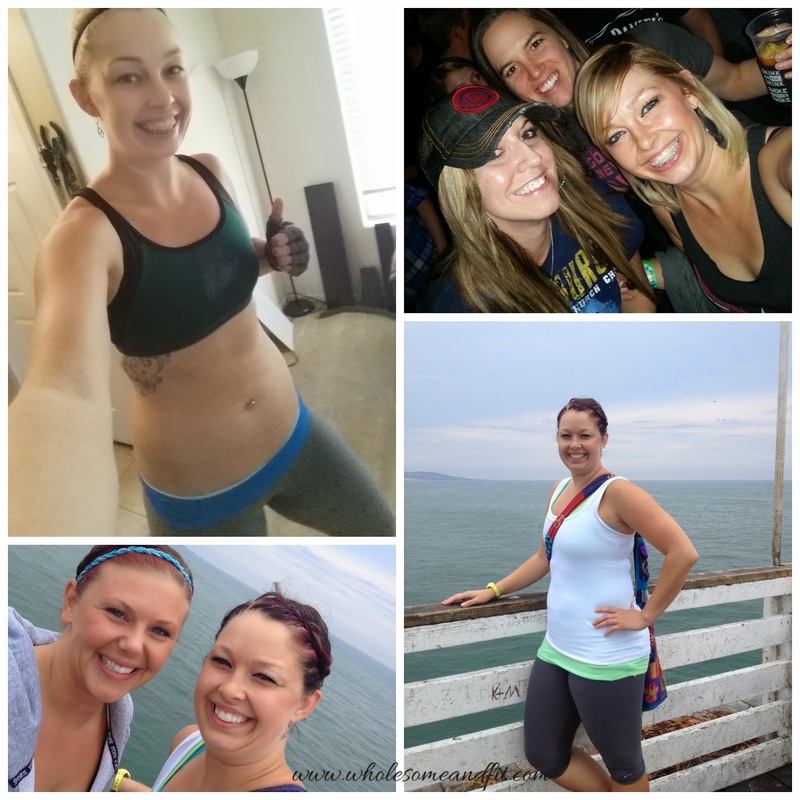 Heather’s mission is to inspire others to live a healthy active lifestyle. 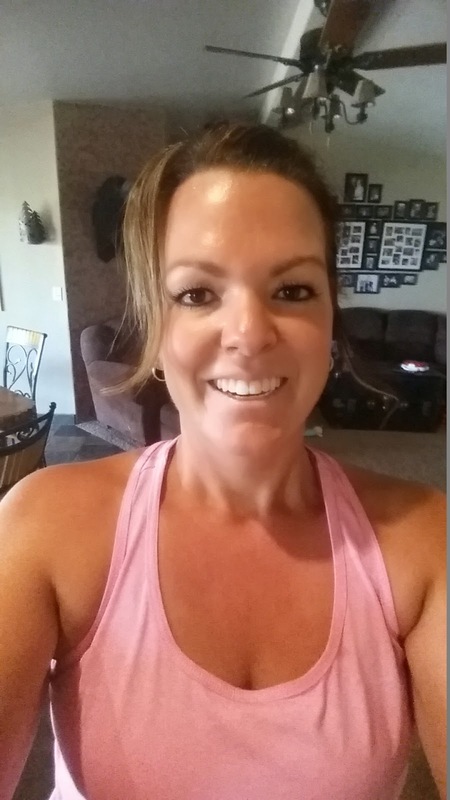 She fulfills her mission through her home business that she runs 100% online as a health and fitness coach. 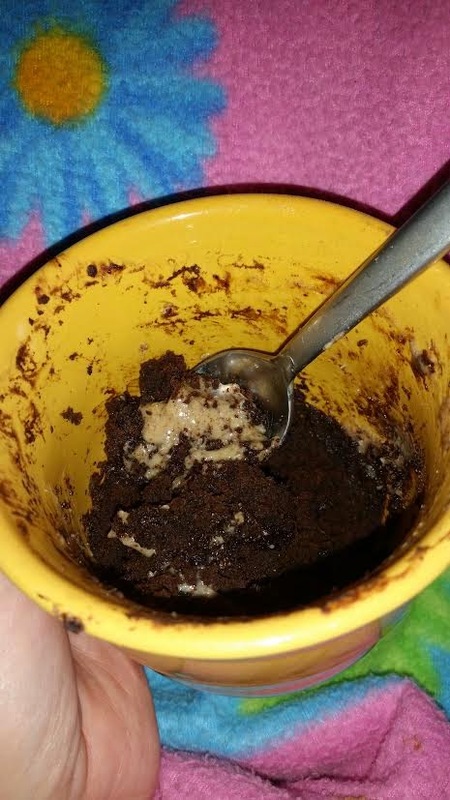 Mix Shakeology, Baking Powder, Cocoa Powder, PB2 together in a mug. Add Egg, Honey, Milk, mix until "cake like". Cook in the microwave for 60 seconds, possibly longer depending on your microwave. Cake will pull away from the mug when it is done. Top with Almond Butter ... ENJOY! Mix all the ingredients together, spoon into balls on a cookie sheet (I sprayed mine with cooking spray) and Bake at 350 degrees for 10 minutes. Shop wholesomeandfit.com supplement section to find Mangosteen Powder. Simply add it to your daily coffee, tea, protein shake, or water. With its unique health-promoting nutrients, it’s no wonder Mangosteen is hailed in Asia as the “queen of fruits.” Our 100% pure, raw Mangosteen powder is made from wild-harvested Mangosteen, grown in the nutrient-rich jungles of Thailand. Mangosteen has been used for centuries in various Asian countries to promote superior health and to help with an array of conditions. Mangosteen is nature’s most abundant source of the powerful antioxidants known as xanthones. 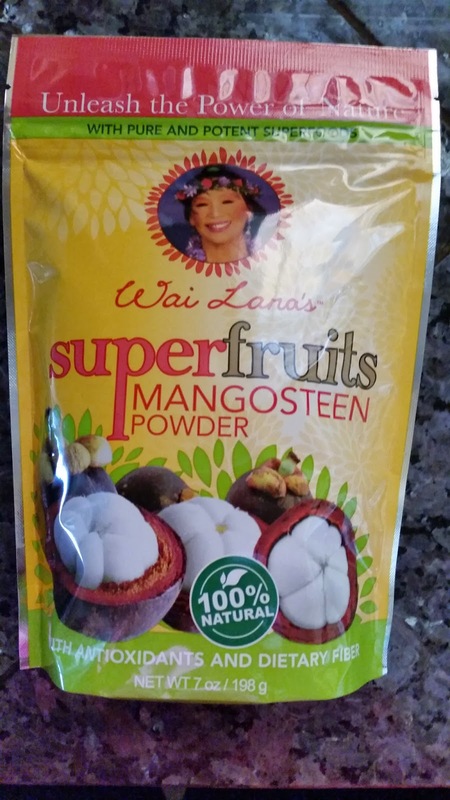 Wai Lana’s commitment to perfection is evident in every step of bringing you these powerful Super Fruits. Our farmers use only sustainable growing methods—no chemical fertilizers, pesticides, or GMO ingredients are ever used. Following careful harvesting and thorough cleansing, expert botanists meticulously examine and test the ripe fruit to ensure that the highest possible quality, purity, and potency are consistently achieved. The fruit is then tray-dried and milled into a powder to ensure maximum freshness. And, of course, there are never any sweeteners, artificial colors, flavors, or preservatives added. Shop our other superfruit supplements too! I love my HipS-Sister! I bought the Global Sister, Travel - 7" Band in black. It goes with everything and holds all the needed items. I layer it over my yoga pants, put my car keys and driver's license in the easy to access zip pockets, put my phone in the top-load slash pocket in the front, and head off to the gym. No purse. No bag to hide in a corner of the room. No worries. Everything I need is with me. I particularly like the width of the Global Sister. It sits comfortably on my hips and belly. I'm not a fan of low-rise pants, so my Hips Sister even makes low-rise jeans more comfortable for me. Now I can live life hands-free while I stay Wholesome & Fit! Since starting the 21 Day Fix, this has been my GO TO snack! It is so yummy! 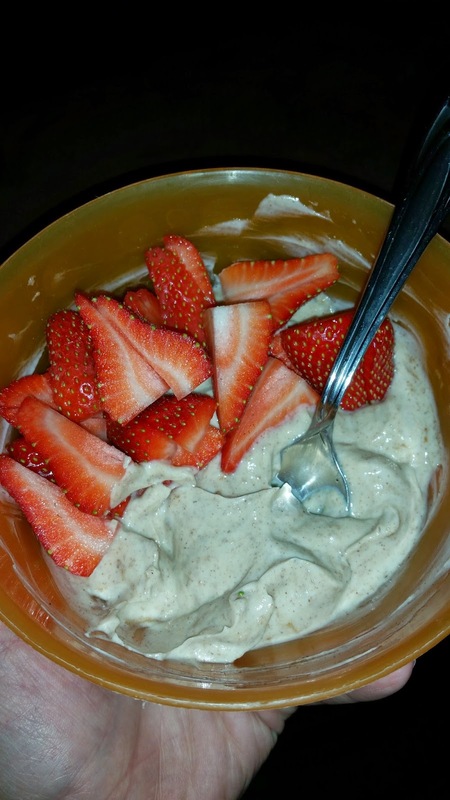 All it is ... Greek Yogurt, Almond Butter, and Strawberries, for all you fixers that is 1 red, 1 purple, and 2 tsp. What is your favorite snack, please share, I would love to hear! 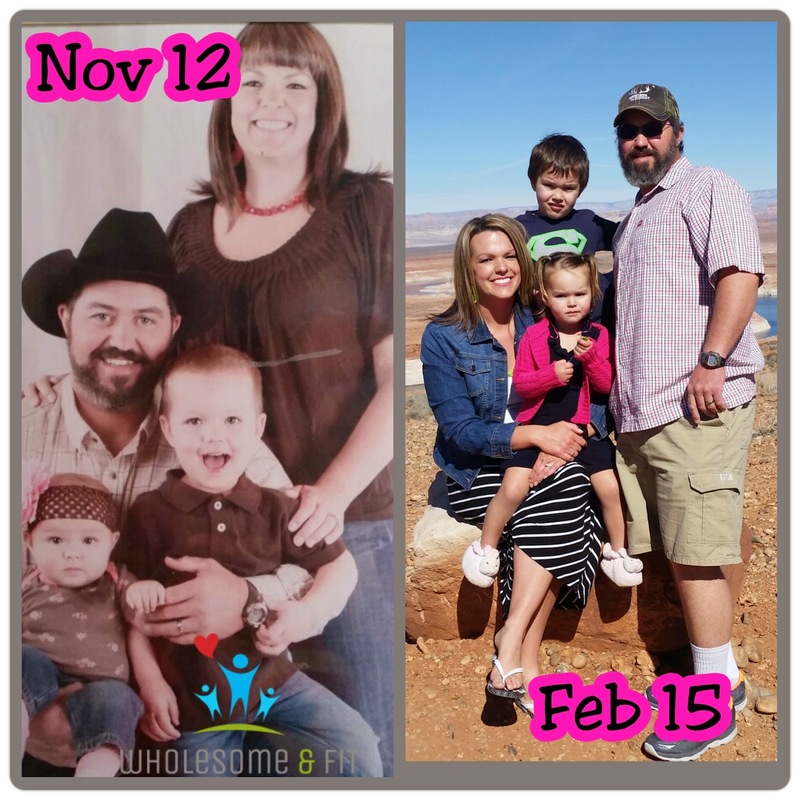 My desire to start WHOLESOME &FIT came from my most recent weight loss journey, which began after having my second child in June of 2012. 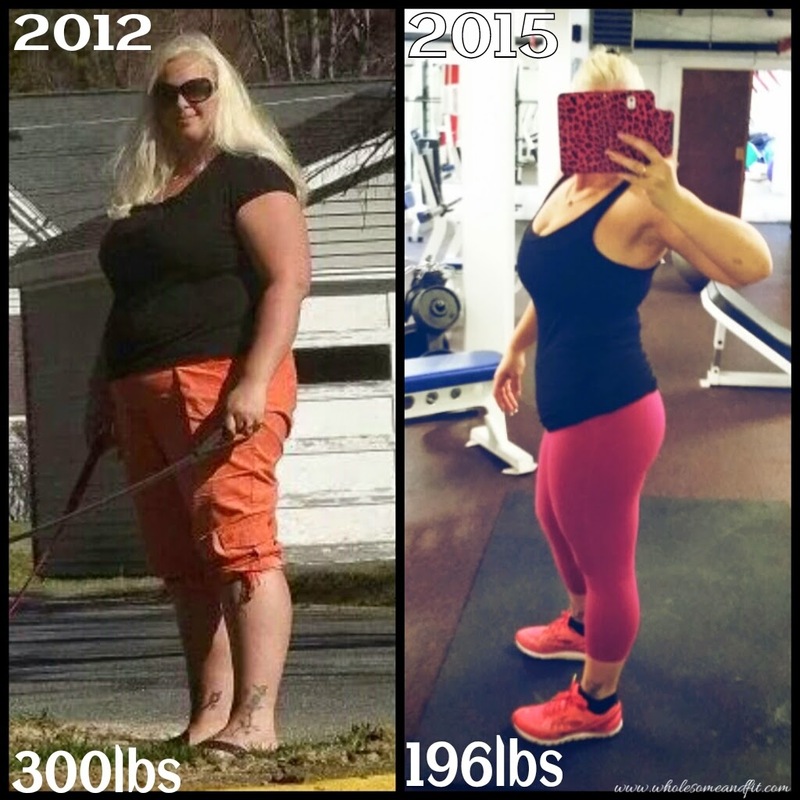 I began my journey with the desire to lose weight, to drop 100 pounds. So far I have successfully lost 85 pounds! Somewhere along my journey I had an epiphany – a major change in my frame of mind. I am not sure exactly when this happened, but it sent me down a new path. Now I love myself, with all my imperfections (and my perfections, too J) and I want to live a healthy, active, and fit lifestyle for the rest of my days. 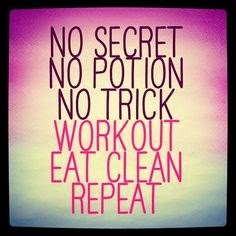 I am accomplishing my fit, healthy, awesome version of myself by eating as "clean" as possible, I am currently on my second round of the 21 Day Fix (I LOVE this program). I am also exercising every day of the week, I am currently on day 44 of my Run Streak and the 21 Day Fix is a 7 day a week workout program. To be completely honest, I have plateaued, several times throughout the last two and a half years. I have had huge weight loss weeks, no weight loss weeks, weight gain weeks. I have actually been the same weight since October of 2013, but I do not let that get me down. The truth is, however, I have had many “non-scale” victories. I've gone from a size 22 to a size 12, from wearing an XXL to wearing mediums and larges. I have built muscles, I am running faster, and I am losing inches. In fact I am wearing the same size clothing I was wearing when I met my husband in April of 2004. I eat gluten free due to having been diagnosed with Celiac 11 years ago, and I have recently cut out a great deal of dairy and sugars. The healthier I eat, the better I feel and the more energy I have. I am currently figuring out that I am fueling my body with food, not eating just to eat. I have not reached my goal weight, yet. I have another 15 pounds to go. After I reach my goal weight, however, starts the real work – maintaining my new weight. Through clean eating, regular exercise, and positive collaboration with like-minded individuals, I know I will reach my goal and maintain my new weight. I look forward to working with you, learning from you, and hearing your story. I invite you to join me on this journey and I hope it will become our journey! So many times I look at the scale and I get frustrated, and for many reasons! The numbers on the scale are not changing, I've been working like crazy to hit a numerical goal, I went up in weight, etc. HOWEVER, the I have recently come to learn that the scale does not define me!!! It took me forever to have this mindset and boy am I glad I have it now. I am much happier with where I am at both emotionally and physically. I can celebrate the Non Scale Victories; the lost inches, the muscle gain, the looser clothes, the faster runs, the ability to lift heavier weights, and the list goes on. Remember, it takes time and dedication, it is not a race to get there ... this is our lives, let's live them to the FULLEST!!! I'd like to introduce you to Eli Sapharti, author, columnist and motivational speaker. 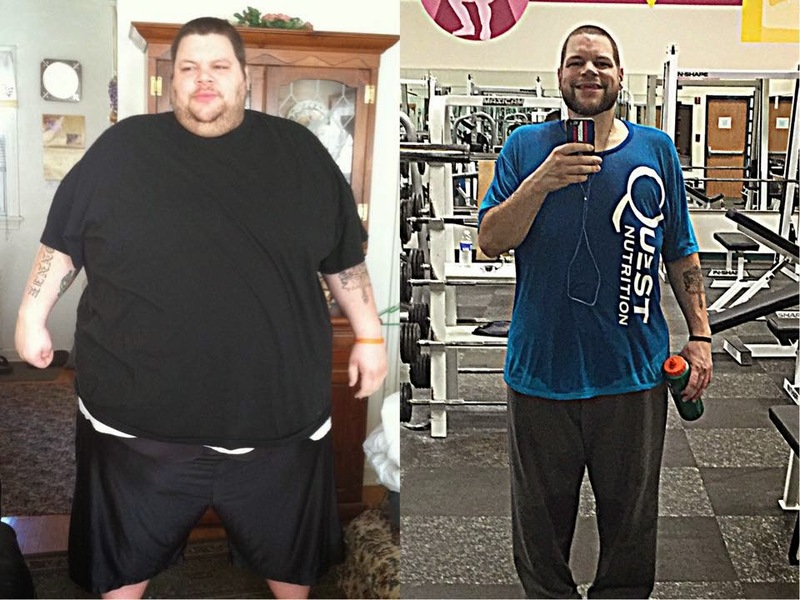 Six years ago, Eli’s life changed in a dramatic way when he lost over 100 pounds. His weight loss, though significant, is only a small part of his story. 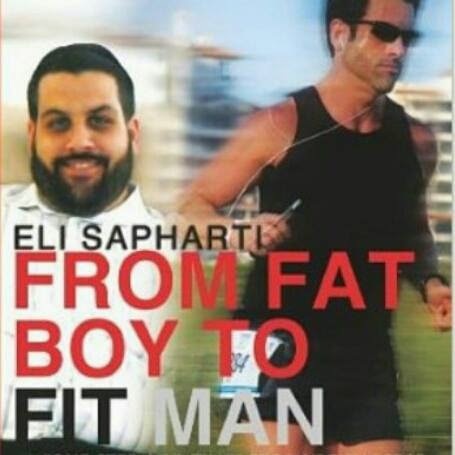 Since publishing his popular memoir, From Fat Boy to Fit Man: A One Step at a Time Success Story, Eli has appeared on the Emmy award winning, The Doctors, as well as ABC’s Good Morning America, and a host of other local morning shows. His story has also appeared in national publications including PEOPLE and the Huffington Post. Eli has personally written for the popular health and lifestyle website, Diets In Review. With his natural charm and charisma, coupled with a first-hand knowledge of weight loss, Eli has become a popular TV guest. His greatest joy, however, is the work he does as a personal coach and motivational speaker. 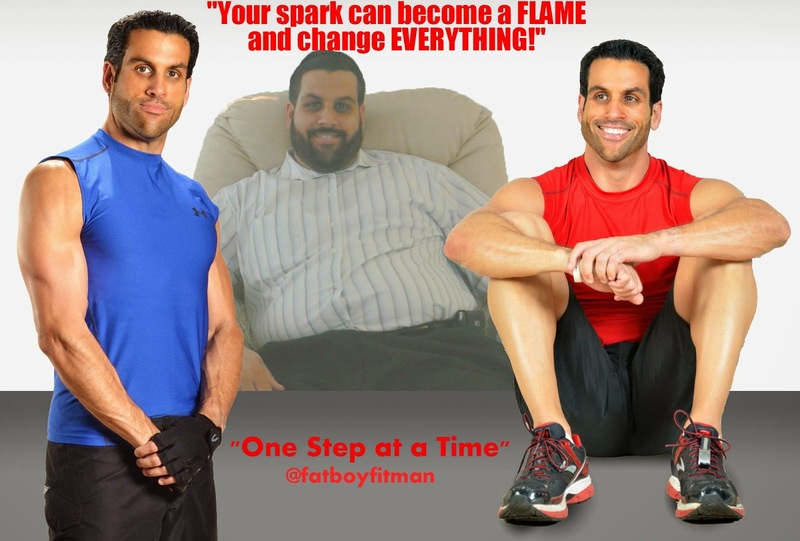 Having founded the principles of "One Step at a Time" for sustainable weight loss, Eli’s philosophy has proven effective for many of his clients and the 30,000 + very active followers on his Fat Boy Fit Man Facebook page. As an entertaining and authoritative guest speaker, Eli has had the privilege of sharing his expertise at health and wellness events, corporate receptions, organizational retreats, and motivating kids at both the middle and high school levels. Today, Eli continues to motivate and inspire audiences across the United States, while providing, “One Step at a Time” principles they can utilize in their own lives. Hmmm ... I usually tell people that I'm 26 but I'm actually 33, lol! When and why did you decide to start your transformation journey? 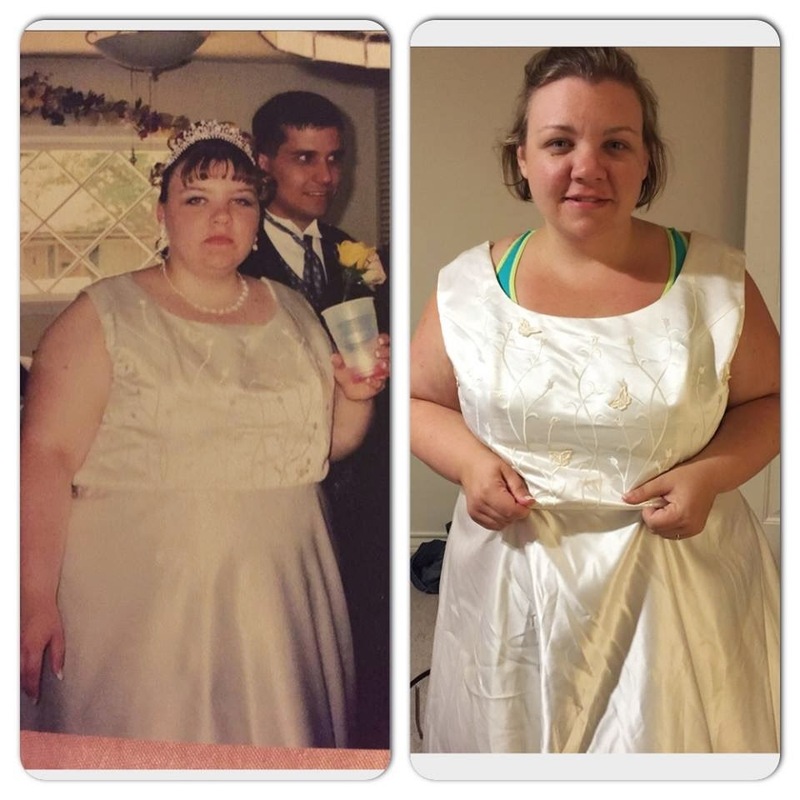 My journey started when I went to try on bridesmaid dresses for my sister's wedding and I had to look at myself over and over again in the mirror ( probably like 30 times, lol ) and I didn't like what I saw...I couldn't believe it was me anymore. I had two beautiful little girls but I had never lost all of the "baby weight" and I thought I never would. Being there for my daughters and setting a good example for them and just helping others on their own journey keeps me motivated every day! For my fitness goals, I just want to steadily push myself harder and harder. I've had two kids, so I know I probably won't have six-pack abs or anything like that ( although it would be nice! ) but I would love to improve my overall tone, work on strength training, and improve my cardio to maintain a nice, healthy heart! I work out for 30 min a day, 5 days a week. I prefer Beachbody programs because they have a calendar to go off and each program has a bunch of DVD's with it so that you don't get bored at all and that's really important to me! Right now, I'm doing Shaun T's Insanity Max:30 and then after that I'm going to start Autumn Calabrese's program the 21 Day Fix Extreme...time to get shredded baby! for nutrition, I'm a fan of tracking, so I stay within the healthy limits for my height and weight but I'm always trying to integrate more "power" foods! for tips and tricks, I just say that it's so important for you to educate yourself...I'm an area supervisor for McDonald's and I eat there for free while I work so I get 10 free meals a week there and ain't no way I was gonna pass that up! So I use all of the tools and resources available to me so that I can still eat McDonald's 10 times a week and still lose weight and it has obviously worked for me! How has your life changed since the start of your transformation journey? oh wow, my life is soooo much better now! I have more energy, I don't feel as stressed, and I just enjoy life more! I never thought this would be possible again!